It’s called the Audi mobile device and is the most intriguing aspect of the Audi metroproject concept. 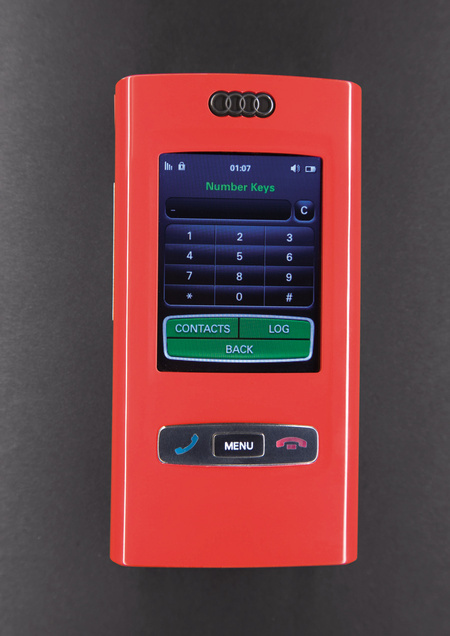 It works as an access authorization system for the vehicle, mobile phone, navigation unit and audio and video player all in one. The menu is based on the Audi MMI interface used inside high-spec Audi models. The control features both WiFi and 3G UMTS technology. 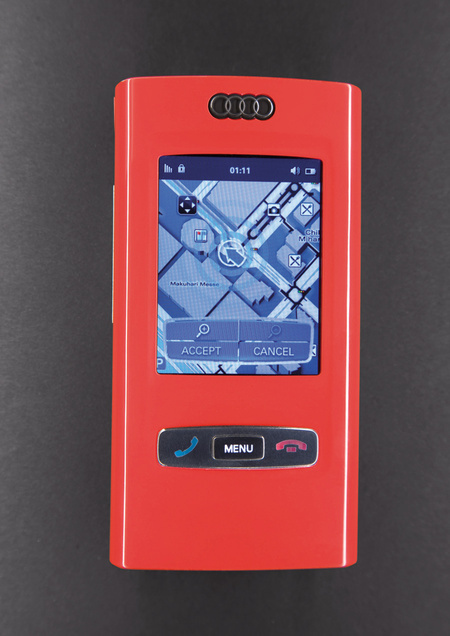 The handset doubles us a cellphone plus works as an MP3 player, a vehicle control system, and an input for the car’s navigation system. It can even be used to turn on the vehicle’s heating systems before you enter the car. The phone can open and close the car for you. The touch-sensitive screen can recognize both Latin and Japanese characters, and is even able to decipher handwriting. It can store images taken by the Audi’s on-board cameras. Hence the car can take pictures of an intruder send you a mug shot via the wireless connection. Then it will switch on the car’s tracker to keep you informed of the car’s location. 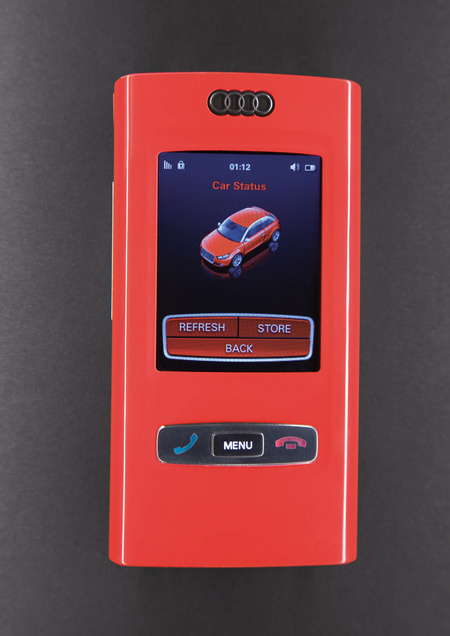 The Audi mobile device has just four main soft keys for all the main features. Audi mobile device is still a concept only.